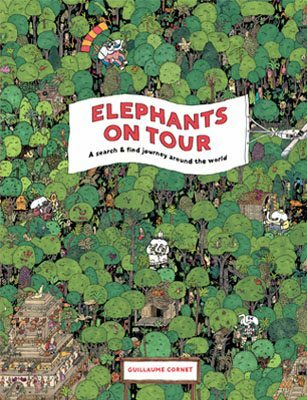 Join the elephants on an exciting around-the-world adventure! Each scene is packed with hundreds of things to find and discover – spot each of the elephants, their lost possessions, and the sights and friends they see along the way. Follow the elephants’ journey and get spotting! Guillaume Cornet is a French artist and illustrator living in London and known for his meticulously detailed, hand-drawn scenes packed with thousands of things to spot. His artwork has been exhibited internationally and he has worked on projects for the BBC, Pentagram, Nike and many more.